Confession. I’m a giant bookworm. It’s a condition that dates back to my early childhood. My parents have time-lapse video from Christmases long past where I don’t move from the same armchair for over 10 hours. I’m a constant figure as the room buzzes with holiday activity around me. Motionless, except the occasional turning of a page. My favorite place to be is completely engrossed in a great novel, oblivious to the world passing me by. As such, it’s no great surprise that I’ve always wanted to host a book club. I was recently given the opportunity to start one with friends, and I jumped at the chance. Books and my best gals? Win-win. Bonus prizes for me include the excuse to use my grandmother’s dainty teacups, and making delicious treats for my guests. 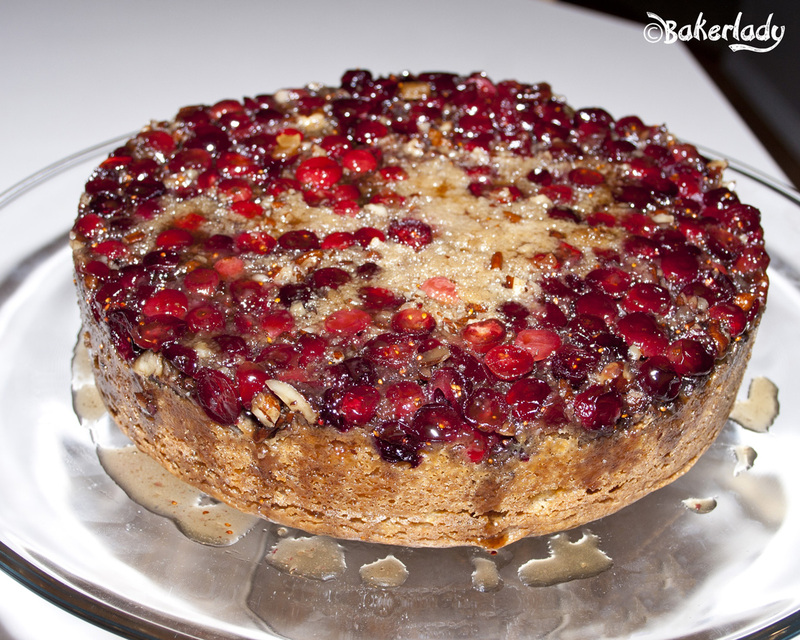 I began with this amazing cranberry upside down coffeecake. Did you hear? It’s today! Whoever thought up such a holiday should be sainted. What a brilliant idea. 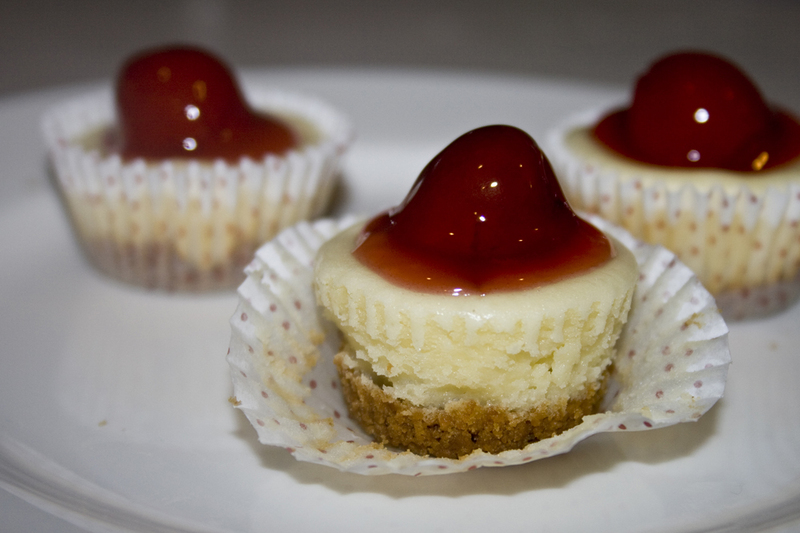 I absolutely adore cheesecake. I usually reserve it for very special occasions because I cannot resist it. Can NOT. I’ll eat enough to make myself totally sick. It’s just too delicious. Maybe you don’t have the cheesecake sickness like I do and can make it more often without weighing 1000 pounds. I’m so jealous of your self control. I dug into the Bakerlady vault and found few of my favorite recipes to help you celebrate! Enjoy! My favorite to make for Thanksgiving with my family. 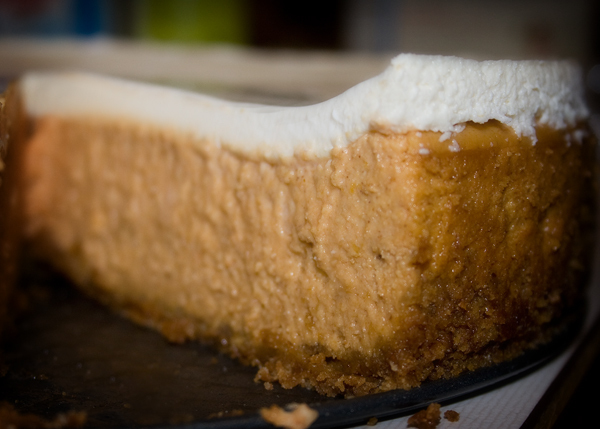 A perfect pumpkin pie-y taste with a cool creamy topping and a gingersnap crust. The most delicious cheesecake ever. Straight out of Bon Appetit magazine (circa 1989). 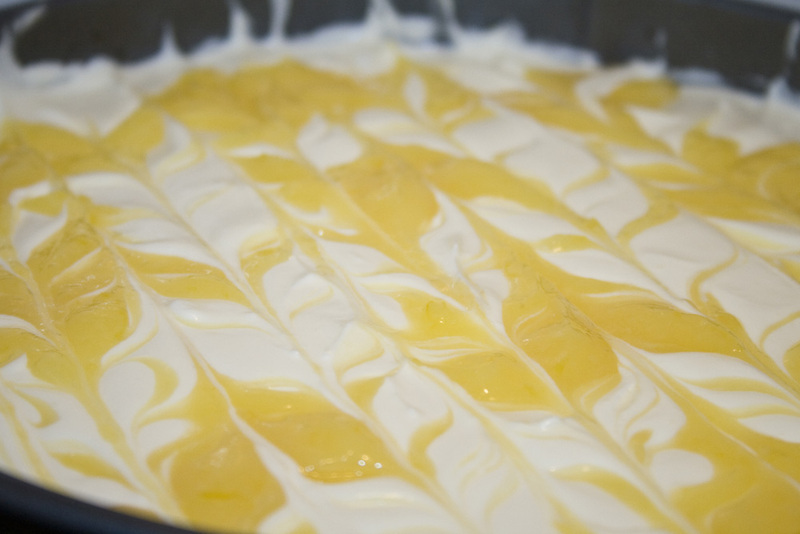 Light lemon cheesecake with a gorgeous lemon curd swirled thru the top! 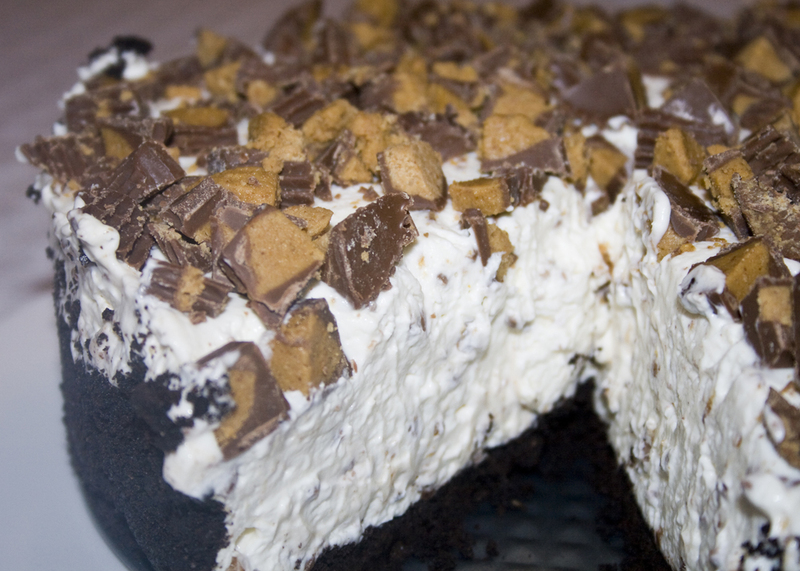 A no bake cheesecake with a chocolate cookie crust and Reese’s Peanut Butter Cups on top. Perfect for parties, and having a little bite of my favorite dessert. Adorable mini cheesecakes with all your favorite flavor including a mini graham cracker crust, topped with your favorite pie filling. I love love love my new bread machine. It’s so easy to just throw all the ingredients in, turn it on and have beautiful dough. The recipe for these rolls is pretty time-consuming – only because you have to allow it to rise three times. You don’t really have to do anything with the dough during all that rising time – today I did some laundry and played with my munchkins, it just requires you to be around the house pretty much all day. But letting the dough rise thrice (I love that word) is what makes these rolls so airy and light. Mmmmm and delicious. Have I mentioned I love bread? These are perfect with soup. Or Thanksgiving dinner. Or soup. I also love soup. I know pumpkin pie is traditional for Thanksgiving, but every year I make this divine pumpkin cheesecake instead for our intimate family dinner. By “intimate”, I mean we only invite my mom’s immediate family, and their immediate families. Which comes to between 40 and 50 people. This year I believe the magic number is 45. We would have topped the big 5-0 if it weren’t for my sister going to her in-laws…and taking her “plus 6” with her. We watch football and enjoy each other’s company for a few hours while the dinner fixin’s get situated on many many many tables. And then we sit. It’s pretty much just like a Charlie Brown Thanksgiving. Except we generally eat a lot better than toast and popcorn. I make this cheesecake every year at Thanksgiving. Actually, I think I might be un-invited to Thanksgiving if I didn’t bring this. It is a perfectly spiced, creamy filling surrounded by delicious graham cracker crust and the sour cream topping just puts it over the top. COMBINE graham cracker crumbs, butter and granulated sugar in medium bowl. Press onto bottom and 1 inch up side of ungreased 9-inch springform pan. Bake for 6 to 8 minutes (do not allow to brown). Cool on wire rack for 10 minutes. BEAT cream cheese, granulated sugar and brown sugar in large mixer bowl until fluffy. Beat in eggs, pumpkin and evaporated milk. Add cornstarch, cinnamon and nutmeg; beat well. Pour into crust. BAKE for 55 to 60 minutes or until edge is set but center still moves very slightly. COMBINE sour cream, granulated sugar and vanilla extract in small bowl; mix well. Spread over surface of warm cheesecake. Bake for 5 minutes. Cool on wire rack. Refrigerate for several hours or overnight. Remove side of springform pan.